New York has been leaping full force into the gambling world, approving new gambling locations in both the Finger Lakes region, as well as the New York City area. While New York has historically been a horseracing state, it has not been a casino gambling state. The state has been inching further toward gambling. With the expansion of gambling in New York comes the expansion of potential problem gamblers. Now there is a new treatment center available for people with gambling addictions in the northern New York region. Experts are hoping that the new center will be able to help problem gamblers get treatment for their addiction. Historically, gamblers in New York were restricted to horse racing. Harness racing in New York has been popular since before the colonies became a nation. New York also is home to one of the Triple Crown races—the Belmont Stakes. Gambling on horse racing and pari-mutuel wagering is allowed in New York. The state has also operated a lottery for decades, with state and multi-state lottery games available. The state has five tribal casinos, all owned by the Seneca tribe. For a long time, those were the only casinos allowed in the state. However, in 2013, the legislature in New York agreed to allow up to seven additional casinos in the state, with the approval of the voters. The casinos have taken a while to develop in the state. Several small casinos and racinos have been built, where people can gamble Vegas-style, or with poker rooms and slot machines only. Casino resorts are slowly being built however—the latest just opened up in Schenectady. While many people can enjoy gambling without issue, some gamblers cannot. 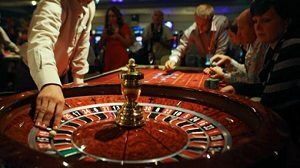 Research on gambling has indicated that for every 100 people who enjoy gambling, there is a handful that cannot enjoy gambling without becoming addicted. For example, there are people who gamble every day without becoming addicted, because they are professional gamblers who gamble for a living. There are also people who are able to gamble for long stretches of time without becoming addicted. However, research reports that out of 100 gamblers, from three to five of them have a gambling problem. 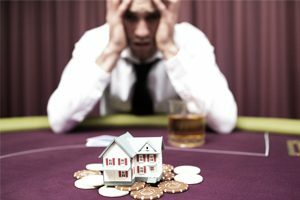 Gamblers who are addicted to gambling are at greater risk to become further addicted to drugs or alcohol. They may also suffer from depression. In addition, gamblers may put their personal relationships at risk in order to gamble. Gamblers may also lose their jobs, as well as their savings, and their credit ratings. In extreme cases, problem gamblers may commit crimes in order to get money to gamble. The Problem Gambling Center will be run by the New York Center for Problem Gambling. The nonprofit organization won a $3.3 million contract to operate the center from the state’s Office of Alcoholism and Substance Abuse Services. Staff in the new center will work to establish both individual and group counseling services for people who have a problem with gambling. The new center staff will also be answering phone calls from the region that come into the hotline begun in New York for problem gamblers. In some cases, clients will be referred to local treatment programs for more intensive therapies. The purpose of the center is to make sure that problem gamblers get the treatment they need, and have the resources available to help them. Many problem gamblers have trouble accessing resources to help them once they decide to get treatment. Hopefully with the opening of the new center, gamblers will be able to find help when they need it most.